Discussion in 'Femmes' started by Vini, Mar 9, 2009. Aha, I'm sure there is no thread for her, because I searched for her few times. ^she looks indeed like a wester european so It might be Ksenia and she is really pretty!! she seems to be pretty, want to see more! 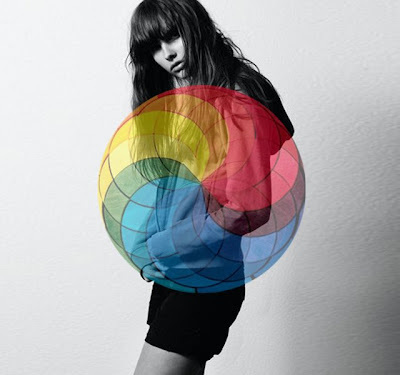 I was wrong about her being Ksenia, I searched for the model I was talking about and her name is Ksenia Tsvirko. She with IMM, so it's not Keshia although they look very similar. I like her, beautiful girl Any colour pictures ? Ya totally cute, love her face and her body ! I saw her as well on supermodels.nl initially as well, and I've got to say one of my favorite females already, just a very gorgeous face . If you were to run into this model on the street you would instantly know she is a model IMO. PONY RYDER: I dint even ask, when and how did it all start for you? What was your first reaction to the suggestion of working as a model? KESHIA GERRITS: My father knew someone that was organizing a model convention here in Holland, and he asked my father if it was something I would like to see. So my father asked me if I wanted to go, and I thought well why not... It could be just a fun day (I didn't really have expectations). It was a fun day, and I got 13 callbacks from agencies so that was exciting! And not much later I was with Ulla Models, it went all so fast but I'm enjoying every moment of it! PONY RYDER: Why is Ulla management best choice for you? KESHIA GERRITS: Well Ulla is my first agency ever, but I did visit other agencies before I decided to join Ulla Models. The people at Ulla are just so nice, and they gave me a secure feeling from the very start..I think it is important that you have a good connection with the agency, I can call them anytime even it is just for a little chat. PONY RYDER: How do you show your personality while you are on castings for international agencies? KESHIA GERRITS: I have to be honest I don’t really try to think about how I’m going to present myself . I present myself the way I am and that could be described as friendly, polite and interested in what people have to say. KESHIA GERRITS: My Bookers tell me to always be myself, if you present yourself in a different way, people don’t like you, but your act. So always be yourself so people like you for who you are! It is hard to say who has the most knowledge, cause I think you couldn’t work in this industry without any knowledge about it! But models who decided to still work in this industry after their modeling career are helpful for models because they really know what you are going thru sometimes! PONY RYDER: How do you maintain your skin? What products do you use? KESHIA GERRITS: It’s important to keep my skin flawless, So I wash my face everyday with Clearasil, and I have this really nice daily cream by Dior. PONY RYDER: Make up cleaner? KESHIA GERRITS: Well, I do work out a lot! I go to the gym like 4 or 5 times a week, do cardio and strength /balance exercises.. And I like to go running 4 times a week… And I like to do Pilates and Power Yoga! PONY RYDER: Do you have a special regime when it comes to nutrition? KESHIA GERRITS: I eat healthy, so no junkfood! PONY RYDER: Your choice of drink? 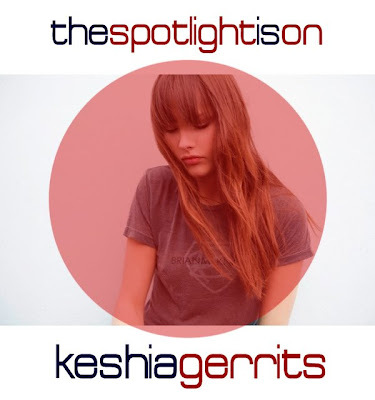 KESHIA GERRITS: I prefer tea, green tea and minty morocco.. And I also like sparkling water. I don’t drink coffee, I tried it a couple of times but I just don’t like it.. it’s just to bitter, and I don’t drink milk so cappuccino is not an option haha! PONY RYDER: What model friend you would like to see presented on Pony Ryder? KESHIA GERRITS: I would like to see Noah or Simone, they are new faces at Ulla, and there both really pretty and sweet girls! Exclusive interview with fashion model Keshia Gerrits is original work and courtesy of Pony Ryder blog. Well, it is the beginning of a new day. It is always a suprise when I look in my post box. This morning I had these stunning pics in it. I speak about Keshia, such a beautiful girl. She has a simply perfect gaze, it is strong, ambitious, fresh, very impressive. She is with a height of 174 centimeters a tall girl, not the tallest, but with her look she definitive need not to be taller. Keshia has so much potential and that great charisma and a killer body 84-63-90. 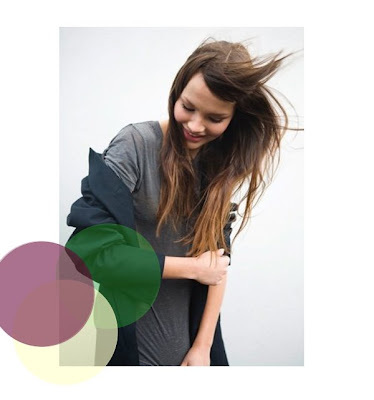 Her motheragency is ULLA Models , she is placed with Women direct in Milan, NY & Paris and with Premier Models in London. A dutch beauty with a age of 18. We will for sure hear in future a lot from her. I am so extremely fond of this girl. She's breathtaking.